Good evening all! 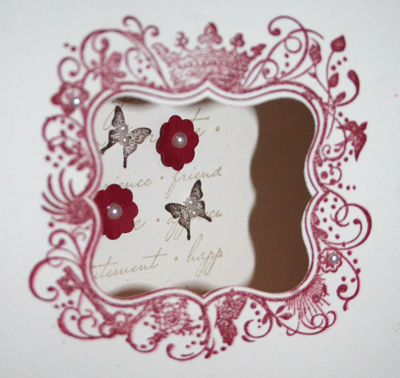 It's my second favourite time of the Stampin Up year, Sale-A-Bration. From 24th January to 31st March you get free stamp sets and designer paper for every £45 that you spend. These sets and paper cannot be bought any other way and, as usual, I want them all! 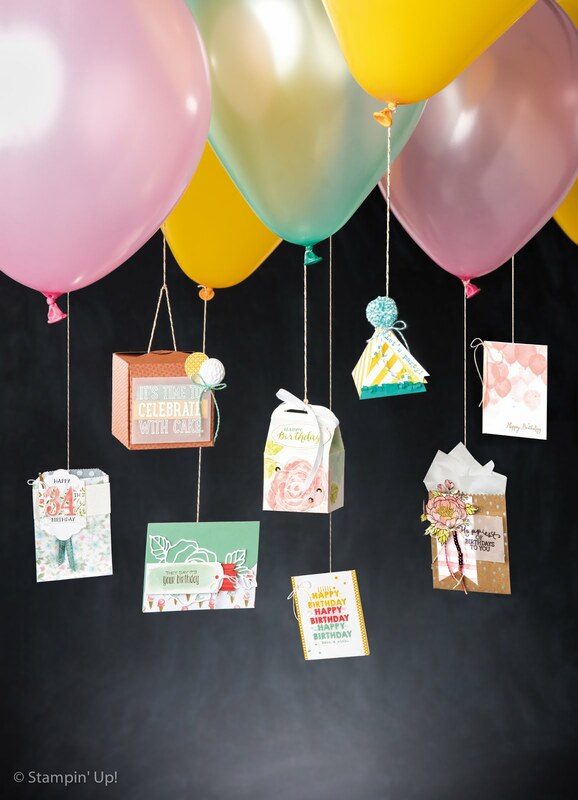 You can also earn sets by hosting a party or signing up to be a demonstrator. 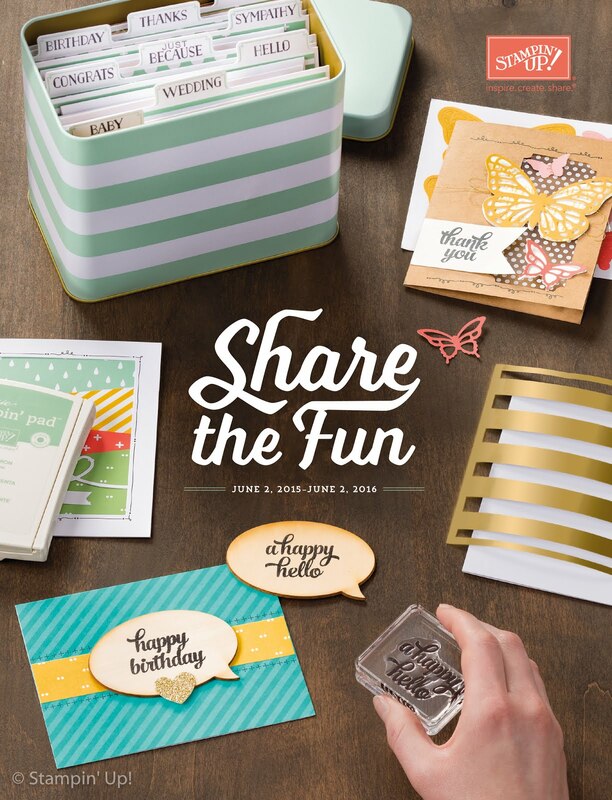 These free sets are in addition to your already generous benefits from Stampin' Up so you can't fail to benefit. In this wintry weather what could be better than curling up with a nice cup of tea or hot chocolate and browsing through the catalogue. This card was made with the gorgeous Elementary Elegance set which coordinates beautifully with the curly label punch. 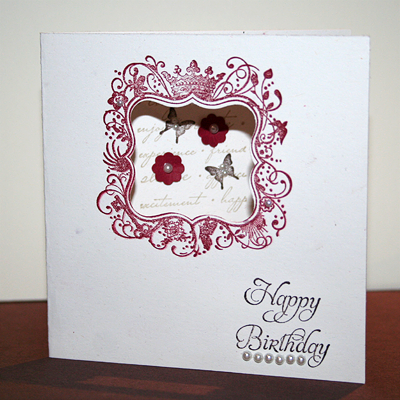 Why not gather some friends around and have a stamping party? I'll bring everything you need just bring your inspiration (and credit cards!). 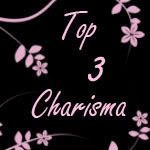 If you have a long wish list them why not consider buying the starter kit? There is no obligation to sell and you get a whopping 40% off your goodies as well as a free stamp set from the catalogue. In other news my little dog is growing up fast and can almost be trusted in the craft room, she tends to bring me things and "ask" if she can chew them now! 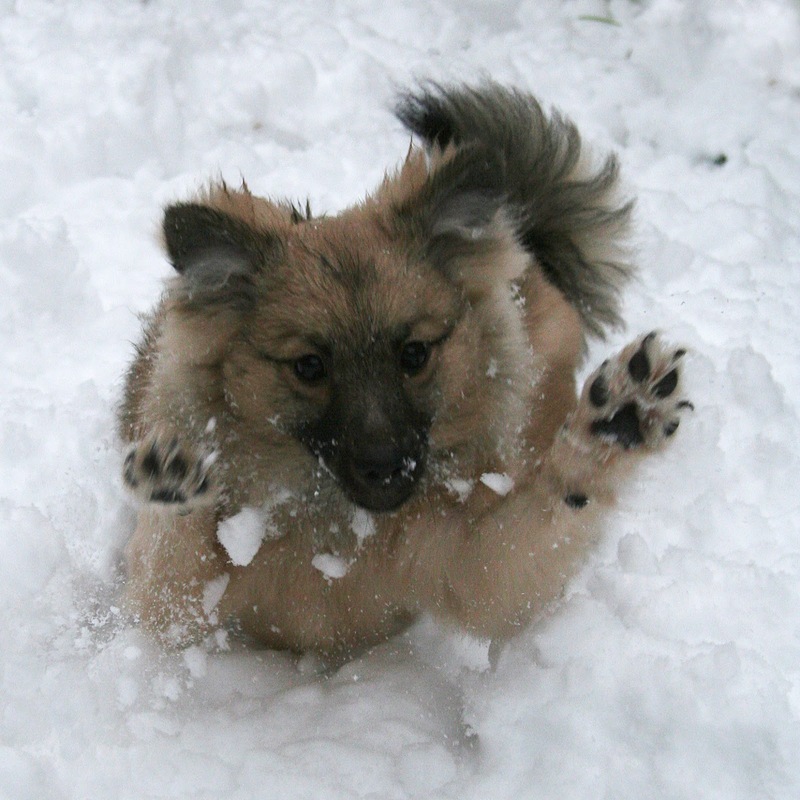 She far prefers it in the snow though! Who Knew? I didn't know the curly label punch coordinated with this stamp set. I've just been a SU demonstrator for 2 years and still learning each day.